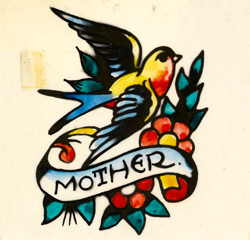 Mothers have always been a popular theme in the world of tattoos, and the first tattoo a young man gets is often associated with this theme, not least because of the ruckus he will avoid when returning home with it. 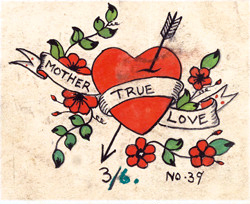 At first most mothers become angry at such an impulsive deed, but once she realises that this is an indelible display of unconditional love for her and that it will be visible to all for all time, all her heart can do is melt... Nowadays, a truly ‘modern’ mother sometimes accompanies her son to the tattoo parlour and witnesses how the representation of her son’s love for her takes shape. Sometimes this doesn’t happen, because she has already passed away. 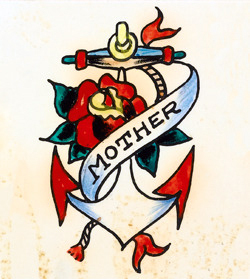 A tattoo with the word ‘mother’ occasionally even colored with her ashes, can make such a great loss more bearable. The tattoo is part of the mourning process; it provides comfort and nurtures acceptance. The pain is boldly endured, a tear or two might roll down his cheeks, but bargaining about the price is considered bad form. 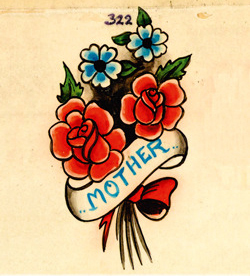 In this book the most beautiful Mother-tattoos from the Schiffmacher Collection are collected. 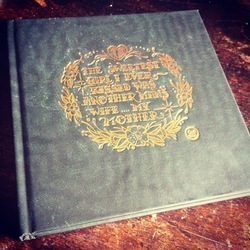 A special gift book for mother, that can be as well an inspiration for how one can wear the love for the sweetest girl he ever kissed on his skin forever. Mother 120 unique tattoo images hand-picked from the Schiffmacher Collection Author Henk Schiffmacher ISBN 9789491394027 Language English and Dutch Binding Hardcover Pages 128 Published 2012 Price € 12,50 More information about the Amsterdam Tattoo Museum can also be found on www.amsterdamtattoomuseum.com.